Gardens of the Moon is the first of ten (or 17 depending how you want to count them) books in the Malazan Empire series. The world the Malazan series is set in has a slightly more advanced setting than the typical medieval setting of many fantasy novels. The main focus of the series is on the Malazan Empire, an aggressive and expansionist Empire which in the space of a few decades expanded from an obscure island city mainly famous as a base for pirates to conquer several continents under the influence of its powerful and ruthless Emperor Kellanved. At times in the series the Malazans seem like imperialist villains, at other times they seem like the good guys (especially in comparison to some of their rival powers). The Malazans are in many ways quite enlightened by the standards of the world with a relatively egalitarian culture usually hostile to the feudal aristocracies or fanatical religious cults that held sway in many of the lands they conquered. At the same time, they are undeniably aggressive, starting many wars and can be uncompromisingly brutal when they think it is necessary. This is a common theme of Erikson’s work, it is very rare for any civilisation or individual in his books to be regarded as being entirely good, and equally many (although not all) of his major villains have some redeeming qualities. Throughout the series it is often ambiguous as to whether the Malazans should be supported in what they are trying to do, or opposed. Although the Malazans are one of the most powerful of the current-day powers in the world, past civilisations and powers also play an important role in the series. Erikson trained as an archaeologist and has constructed a long history of his world filled with many Gods and civilisations and dozens of races, some of which still exist, some of which are extinct and some of which aren’t as extinct as they appear to be. The history takes in important events that happened millennia or even hundreds of millennia ago and in some cases the participants in those events are still alive (or at least, still animate). The variety of races are one of the most fascinating elements of Erikson’s world-building since he eschews the typical clichéd fantasy races with such inventive creations such as the four so-called ‘Elder Races’ - K’Chain Che’Malle (reptilian creatures with hive minds and highly advanced technology), Jaghut (tusked, strong, powerful sorcerers with vast power but whose stubborn individualism prevented them from working together), Forkrul Assail (tall humanoids with a fanatical hatred of other races) and the T’lan Imass (undead Neanderthals whose hatred of their Jaghut oppressors caused them to enact a magical ritual which gave them eternal existence as undead warriors). In the first novel, Gardens of the Moon, the Malazans tend towards being the bad guys of the story, even if many of the Malazan protagonists are more sympathetic characters than their Empire is. It is several years after the assassination of the Malazan Empire’s founder Kellanved by his protégé and rival, the assassin Laseen who has now crowned herself Empress. Laseen kept up the pace of the Malazans’ wars of conquest while at the same time manoeuvring against many of those who were once loyal to Kellanved. The novel is set on the continent of Genabackis, one of the more recently-invaded lands of the Empire, and it begins as the Malazan forces are about to attack the city of Pale, one of the last of the Free Cities that once controlled most of the continent. The Malazans assemble a large army to besiege the city, but the main battle takes place above them in the form of a sorcerous duel between the Malazan’s Mage Cadre and the Free Cities’ ally Anomander Rake, an ancient sorcerer and leader of the Tiste Andii (a race from another dimension, exiled from their home many millennia ago). Despite heavy casualties (including most of the mage cadre being killed in an apparent act of treachery by its High Mage, Tayschrenn) the Malazans are victorious, Rake is forced to flee and the Malazans eyes start to turn towards the last, and richest, of the Free Cities, Darujhstan. The Malazan books tend not to have a single protagonist. Perhaps the closest to a main character is Sergeant Whiskeyjack, a veteran soldier in charge of a squad of the Bridgeburners – previously an elite unit in the time of Emperor Kellanved but now regarded with suspicion by the new Empress. After the capture of Pale the Bridgeburners are despatched as an advanced party to infiltrate Darujhstan and leave it open for invasion by sabotaging its infrastructure. They take on the role despite misgivings about the casualties they took in the battle of Pale and suspicion that they may have deliberately have been placed in danger as part of an attempt to kill of loyalists to the old Empreror. They also have misgivings about one of their own, a young woman name Sorry who was a recent recruit but has a great capacity for violence and who may be much more than she appears. The Bridgeburners also have a new Captain in the form of Ganoes Paran, a well-intentioned young officer regarded with suspicion by the other soldiers because of Paran’s noble birth and background in a family that was very powerful in Unta (the Malazan capital) before the old Emperor began his pogroms against the nobility. He faces the risk of a knife in the back from one of his own subordinates if he can’t persuade them he is a worthy leader. Another major Malazan character is Tattersail, one of the few survivors of the Malazan mages, who is bitter against the apparent attack on her colleagues by Tayschrenn (the Empire’s most senior mage) whilst also guilty about some of her past acts for the Malazan Empire. Meanwhile the Empress’ senior aide Adjunct Lorne also travels to Darujhstan on a secret mission to unleash an ancient evil which once ruled the city in a reign of terror, accompanied by Tool, a T’lan Imass warrior who is the only member of the undead army that once served Kellanved still working for the Empire. Meanwhile, in Darujhstan the plot centres on a group of young friends plotting to restore one of their number to his rightful place as head of a noble house, after he was deposed by his ambitious ex-wife and a rival councillor. 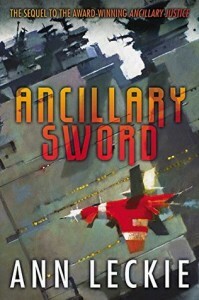 They are also aware of the coming Malazan threat and their plotline interacts with that of the city’s powerful Assassin’s Guild as it contends with the Malazan’s elite assassins and the machination of a mysterious spymaster who uses the pseudonym of The Eel who is trying to rally the city’s defences. 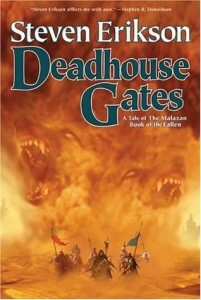 It is common throughout the Malazan series for the plot to take place on more than one level. The most obvious plotlines involve the soldiers, battles, intrigues and ordinary people of the story. There are also more subtle plotlines as Gods and ancient powers manipulate events to further their own plans. One of the main plotlines throughout the series involves two of the newest Gods to gain power, the beings known as Shadowthrone and Cotillion, who have recently taken control of the long-abandoned realm of Shadow and who have far greater ambitions than just being two ordinary members of the Malazan world’s pantheon. In this case their plans are focused on Whiskeyjack and his squad of Bridgeburners, and particularly on their young recruit, Sorry. The plot of the series is undeniably complex and Erikson took a deliberate decision to start his first book in what was, in many ways, the middle of the story. It is initially quite confusing as within a few chapters the reader is launched into the battle of Pale and introduced to a dizzying array of characters and races, many with long and complex histories which will not be fully explained for several books to come. Erikson’s often inventive world-building can also add to the confusion, his magic system is based on the control of the powers of alternate dimensions known as Warrens (different Warrens having different properties such as being associated with darkness, illusions, fire, water etc.) and it takes a long time for even the most rudimentary explanation of how the Warrens work (and even after ten books it is still not entirely clear). As the book goes on it does gradually make more sense but some persistence is required to get through the initial confusion. Although it can make the series sometimes difficult to understand, the complexity and imaginativeness of the setting and plot are one of the Malazan series strengths and overall it is probably more Epic than just about any other Epic fantasy series. 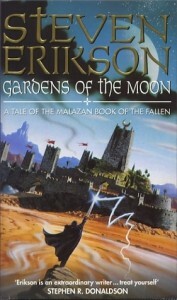 Gardens of the Moon was Erikson’s first full-length fantasy novel and it does have some flaws that debut novels often have. The quality of the writing, prose and dialogue can be a bit variable, at times Erikson has some very good writing but at other times the prose can end up seeming a bit clunky and awkward and the dialogue stilted and unconvincing. The quality of the characterisation is also variable, Erikson does have some memorable and interesting characters but the cast of characters is so large than some of them have fairly shallow characterisation. The characterisation can also sometimes be unconvincing and sometimes character’s motivations for their actions do not seem satisfactorily explained. To take one example, at one point in the book Captain Paran takes immense risks that could imperil not just his life but also his immortal soul in an attempt to save from captivity two creatures which shortly beforehand were trying to kill him and it does not really seem believable that he would take such a huge risk. 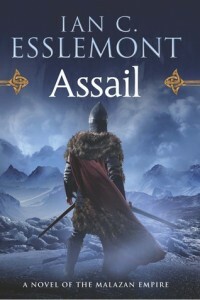 It is far from the being the best book in the series, Erikson’s writing would improve in later volumes and although there are plenty of interesting moments in the plot the overall storyline often fails to be really compelling – one of the main problems being that it is hard to really be invested in caring about whether the Malazans succeed or fail in their war against Darujhstan. When considered alongside the rest of the series there are also quite a few things that contradict later books, Erikson would revise quite a few elements of the setting in later novels. Overall, this is an entertaining fantasy novel with plenty of interesting ideas and concepts which large make up for the sometimes variable quality of the writing. 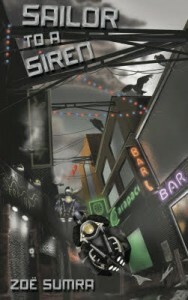 It is apparent from just the first couple of chapters that “Sailor to a Siren” combines an intriguing, and relatively unusual, mix of genres. The first chapter opens in the middle of a heist with member of one gang (including two of the novel’s protagonists) stealing a drug shipment owned by a rival gang. That this isn’t a mundane crime novel is soon obvious since the rival gang members are aliens who look a bit like giant birds and they have a human woman helping them guard the shipment who can do what the characters describe as magic. The setting feels like a classic space opera setting with humanity now dispersed across half of a galaxy dominated by two superpowers that seem to be in the middle of a lengthy Cold War. The planet most of the book is set on is largely populated by the bird-like aliens but it’s also home to a large community of humans as well as various other assorted aliens. The Spellweavers add a touch of what feels like urban fantasy into the setting, although there is some brief exposition about how the magic they do has a complex scientific explanation. Traditionally Space Opera stories have taken place on an epic scale but despite the setting this doesn’t feel much like a traditional Space Opera plot. The story focuses on the aftermath of the heist that takes place in the first chapter, as two brothers Connor and Logan try to find a way to sell what they’ve stolen while surviving the rival gang’s retaliation and having to navigate the complicated politics of the planet’s underworld. From the very first chapter onwards they have a feeling that they’ve stumbled into something more dangerous than they expected, since no ordinary drugs shipment should have been guarded by an expensive Spellweaver. They soon find they’re in more trouble than they anticipated but even in desperate circumstances Connor always keeps looking for a way to turn the situation to his advantage. 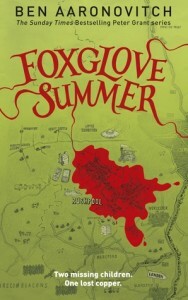 A complication is provided by the third of the book’s main characters, an old flame of Logan’s named Eloise who is part of a group of Spellweavers hired to crack down on the planet’s trade in illegal drugs. There is a lot of plot packed into a relatively short book. This is set in a brutal world where life is cheap and everyone from the gangs to the police have their own agenda and nobody other than family can be fully trusted (although sometimes loyalty can be found in surprising places). The story gets increasingly complex as it goes along before the various factions all converge together in a final confrontation which I thought was the highlight of the book – a clash between multiple different groups where none of them are entirely in control of the situation. The setting is very claustrophobic, the stakes are high and it remains tense throughout. There are plenty of double-crosses and most characters have some hidden motivations which kept the plot unpredictable. 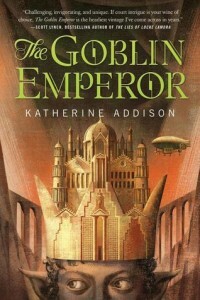 Due to the nature of the plot we only get glimpses of the wider setting but the book does a good job of suggesting a long history and there is plenty of material for other books in the setting to explore – the long-running conflict between the two rival guilds of Spellweavers seems particularly intriguing. I thought the characterisation was good. I wouldn’t say most of the characters are likable – Connor and Logan are hardened criminals who loyalty to each other is probably one of their few redeeming features – but they are interesting and compelling characters. There may be a lot of action in the book but in between the three main characters do get some effective character development, and it’s also interesting to see the contrast between how they are perceived by other characters and how they perceive themselves when we see things from their perspective. Overall, I thought this was a compelling mixture of gangland thriller, space opera and urban fantasy and I look forward to reading more books in the same setting. Adrian Tchaikovsky’s “Shadows of the Apt” series was one of my favourite epic fantasy series of recent years so I was looking forward to reading his first book in a different setting. 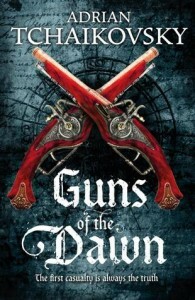 Unlike his previous 10-book series, “Guns of the Dawn” is a standalone novel (although not a particularly short one) and rather than the Apt series’ sprawling set of characters this focuses on a single protagonist. The first chapter introduces Emily Marchwic experiencing her first firefight while her military unit attempts an advanced through a trackless swamp and has a bloody but inconclusive skirmish with their enemy. After this introduction the first section of the book flashbacks a year to show how Emily got into this situation. In the earliest part of the book she is as far from a soldier as it would be possible to be, living with her sisters and brother in their ancestral estate and from a social class which means it would be inconceivable that she would have anything as common as a job, let alone fight in a war. However, there is a war and it is going increasingly badly for her home Kingdom of Lascanne as they fight against the radical revolutionaries of Denland and one by one all the men of fighting age in her household (and Lascanne in general) are conscripted until in a final desperate act the King is forced to order that every household must provide one woman to be conscripted into the army. Therefore, after a rushed boot camp, Emily finds herself a junior officer assigned to the swamps of the Levant front of the war where most of the book takes place. One of the things Tchaikovsky did really well in the Apt series was the battle scenes (even if there were perhaps too many of them at times), as well as managing to combine character development and action the series did a good job of showing how technology and worldview of the different civilisations in the series would effect the outcome of the battles. The battle scenes in this book are equally good. Everything is seen from Emily’s perspective and it does a good job of showing the confusing nature of the warfare where the combatants are often unclear about where their allies and their enemies are and how in this sort of battlefield the different tactics and personalities of the commanders on either side shape what happens. Although this is a fantasy setting there are only a couple of fireball-throwing warlocks to add magic to the battles, otherwise the level of the technology sees the musket being the main weapon, part of the reason that the female conscripts are sent into battle since (as Emily’s instructor points out) they don’t need to be able to match the strength of a male soldier to be deadly. The swamp setting is claustrophobic and means the focus is generally on small squads fighting each other, rather than some of the epic battles in the Apt books these are battles where individuals can have a real impact and as the book goes on and Emily grows in experience and slowly rises in rank through a mixture of luck and good judgment she starts to learn to be a leader and play a bigger role in the outcomes of the fighting. Many of the scenes feel very tense, the Lascannes army is taking heavy casualties and seems in a desperate situation so it feels as if the characters are genuinely in peril (even if Emily as the sole protagonist is protected a bit). Although the battle scenes may be compelling the overall tone of the book is very anti-war, with the overall senselessness of the brutality being one of the main themes, as well as the futility of all the soldiers dying in a front that is largely a sideshow to the much larger conflict in the other fronts of the war. Since the book’s plot follows the first female conscripts in a previously all-male army their interactions with the male soldiers are one of the main focuses of the plot, I think this is explored well showing the reactions of the male soldier varying from outright misogyny to (initially grudging) respect as the female soldiers make a useful contribution to the battle. 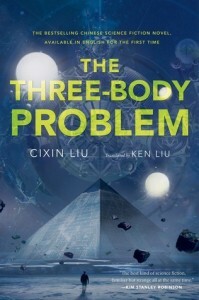 Compared to the Apt books it may have lost the epic scope and imaginative worldbuilding, but thankfully the characterisation lives up to his previous work. I found Emily to be a compelling protagonist and although she changes a huge amount during the book in terms of what she is capable of and how she acts I thought the character development felt plausible at each stage and even in the earlier sections of the book she does show signs of the (possibly foolish) bravery and stubborn determination that will help her a lot during the war. By the end of the book she is making decisions that would have been incomprehensible to her at the start of the book but the development along the way means that her actions do seem consistent with what her character has become. I think it also avoids the potential trap of making Emily too good at being a soldier, she may become a useful fighter and officer but the book does show there are better soldiers and her capabilities do generally seem believable (although to be picky she seems surprisingly good with a sabre when the book never shows her being trained with it). There is also a good cast of supporting characters, some of the best dialogue comes from the scenes between Emily and local dignitary Mr Northway who is an old enemy of her family and he is an interesting and ambiguous character who initially feels like an antagonist but evolves into something more complex since in his own way he is often trying to the right thing. As the book goes on the interactions between them also become more complex after Emily begins to realise he has a romantic interest in her, something that she is unsure how to deal with. There are also a number of interesting characters among Emily’s fellow soldiers in the Levant, including some likeable characters and some who feel as much the enemy as the initially faceless soldiers they are fighting against. In the past Tchaikovsky has sometimes had a bit of a problem with the pacing (sometimes too fast, sometimes too slow). I think in the book he has got the pacing just right and after a steady start it increasingly picks up momentum until it gets to an initially surprising, but satisfying, final section. Everything that happens in the book has a purpose in terms of Emily’s character development, I think that helps the pacing but it does have a downside that it can feel a bit contrived at times and sometimes the setups for future plot developments are obvious enough that it’s possible to predict what sort of event is going to happen to Emily next. As well as the predictability of parts of the plot, I think another flaw is that the world-building feels a bit drab and lacking in depth compared to Tchaikovsky’s previous work. It does feel like Napoleonic War-era England with a few token pieces of magic added (and the possibly non-human race of swamp dweller who are probably the most interesting piece of world-building). It’s also hard to get much impression of what Lascannes is like beyond the one provincial town Emily lives near. Overall, this isn’t without a few flaws but I think they are fairly minor and I found this to be a very entertaining fantasy novel that lives up to the best of Tchaikosky’s previous work. The premise for “The Martian” is very simple. One of the first manned missions to Mars is forced to abort early after a huge storm hits the landing site, most of the crew escape safely but they believe that one of their number, botanist Mark Watney, is dead after being impaled by an antenna, his body lost in the confusion of the storm and the vital signs transmitted by his suit showing nothing. However, Watney does survive the accident but finds himself stranded on Mars with no way of getting to orbit, limited supplies and any potential rescue years away. The obvious comparison is to “Apollo 13” as the resourceful astronaut tries to find a way to survive using limited resources while NASA try to come up with a way of saving him. “The Martian” is a book that does a lot of things very well and unfortunately does some other things quite poorly. The book is split between journals written by Watney chronicling his life on Mars and third-person scenes shown people back on Earth trying to come up with a way to help him. Watney’s journals are the highlight of the book, despite all the trials he manages to keep his sense of humour which helps to break up the scientific details of how he manages to survive. There are a lot of technical problems to solve along the way and Weir’s writing manages to explain clearly the science behind it without getting bogged down in detail. At first glance the scientific and technical details do seem plausible, I can’t really tell how accurate most of it is but it does manage to sound convincing. Watney experiences a number of setbacks along the way, some of them nearly fatal, and there are some genuinely tense scenes as he has to attempt some extremely dangerous and risky tasks. Unfortunately, while I thought the chapters from Watney’s logs worked well I didn’t feel that the other scenes back on Earth were as successful. Andy Weir may be good at writing about space exploration or about a tense struggle for survival but he seems to struggle a lot with writing dialogue or characterisation. 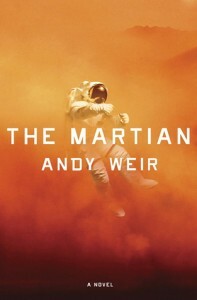 While there is only one character on Mars there is a much larger cast back on Earth (as well as Watney’s five fellow astronauts heading backing to Earth without any way to help) but Watney is virtually the only interesting character on the book (although I did like the fiery NASA PR manager). The rest of the characterisation feels very shallow, even if those characters aren’t the main focus of the book it does feel like more could have been done with them. The dialogue is clunky and unbelievable and often at its worst when Weir tries to write witty dialogue. While some of the jokes in Watney’s journal are amusing the other attempts at humour seem to fall completely flat and Weir seems to feel the need to explain in detail any pop culture references. Perhaps it’s for the best that Watney’s scenes don’t involve him interacting with any other characters. Watney’s journal entries may not necessarily be particularly eloquent but at least his writing does have a distinctive voice. His journals don’t seem to show a lot of emotional range beyond occasional outbreaks of terror or despondency, but perhaps this is realistic since I suspect Watney might realistically censor some of his thoughts knowing they’d be read by NASA later. It’s a pity that some of the writing is so clunky because at its core there is a tightly-plotted and compelling story of survival against the odds with plenty of highs and lows along the way. It’s definitely worth reading despite its flaws but I feel with some improvements this could have been a great book rather than a reasonably good one.